Baidu (which reports quarterly results today), sometimes dubbed the Google of China, is extending its push into the field of artificial intelligence (AI). This is part of its search for the next big thing to complement its strong online search business. 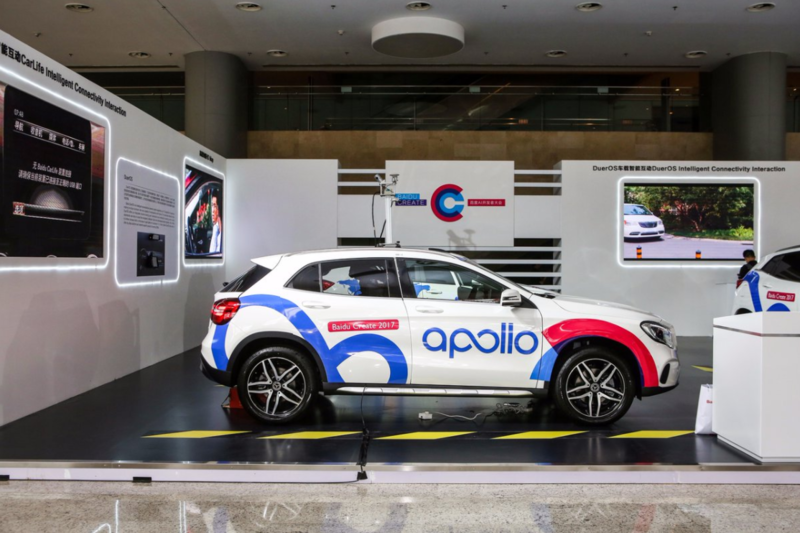 AI has an integral role in autonomous cars and Baidu recently announced major partnerships to push forward its Apollo self-driving platform. Companies Baidu has teamed up with on the AI front include Microsoft and Nvidia. Earlier this month, at a company conference in Beijing for developers, Baidu chief operating officer Lu Qi said China is well placed to participate in the “historic opportunity” AI represents. The country has around 750 million Chinese online citizens and many of the world’s AI experts. A deep pool of data is perhaps AI’s most important input with so-called deep-learning algorithms using reams of data to “learn.” The more data that is available the “smarter” these algorithms generally become. Adding to the value of the data that Chinese online citizens provide is the fact that most go online using smartphones. The data from all the sensors and the location of users when they go online, order products and services etc., is generally more useful than from a desktop computer. The data Baidu captures from its online search business is a major advantage for Baidu, just as it is for Google. This is as data from searches are usually so broad-based, hitting on a vast number of topics. Baidu has been adding image and voice search functions to capture even more useful data about user habits and preferences. The company has made significant strides, claiming 97% accuracy in voice recognition and 99.7% in facial recognition. 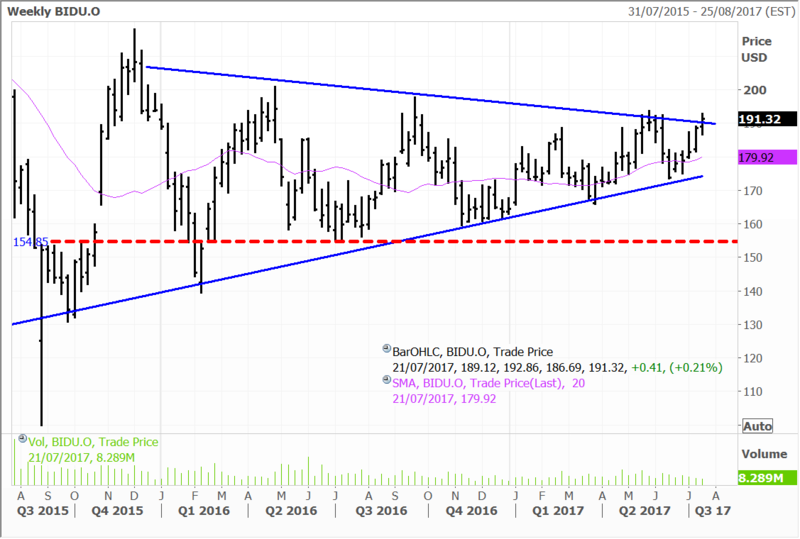 Baidu is a major holding in the Fat Prophets Global Contrarian Fund and in our Global Opportunities, US and Asian Managed Account Portfolios. China’s vast population provides a deep pool of research talent. Many of its diaspora have returned home from top notch universities and roles at major corporates around the globe over the past decade. In addition, many Chinese universities have shot up the rankings and students in the country are well-known for their expertise in hard sciences such as maths and physics, as well as in language translation. These provide the key ingredients for AI expertise. Baidu has reportedly built up a 1,700-member AI team and has four research labs, in China and Silicon Valley. Of the US$3 billion or so, Baidu has spent on research and development over the past 2.5 years, the “majority” has gone towards AI. It hasn’t all gone Baidu’s way, though, as the competition for AI talent is fierce and the company has lost a couple of its big names in the field this year. The Chinese government is also supporting the development of AI, with the technology featuring in its current five-year plan. It is safe to bet AI will be in the next five-year plan, which should bolster the pool of talent for this area within China going forward. Expect Baidu to be at the forefront, with new revenue streams from AI-linked projects to supplement its strong core search (advertising) business. Disclosure: The Fat Prophets Contrarian Fund declares a holding in Baidu.